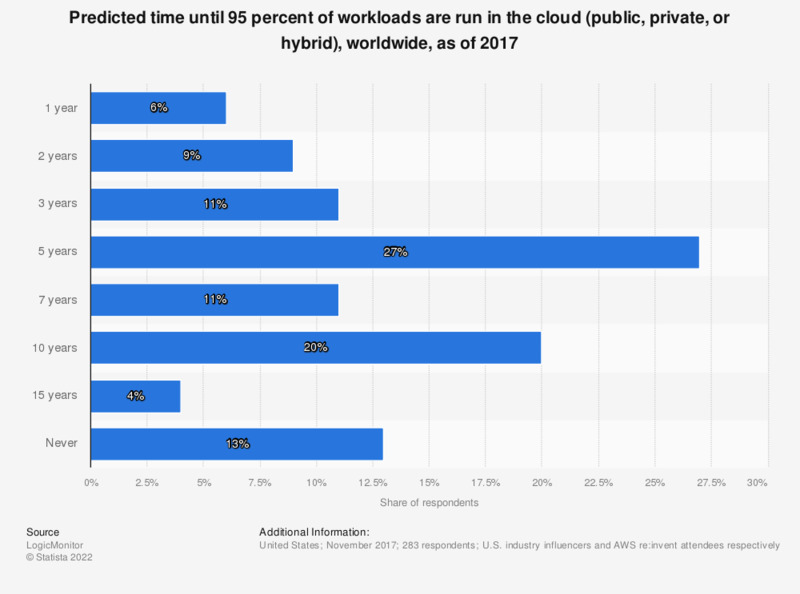 The statistic depicts the prediction of respondents as to how long it will be until 95 percent of workloads are run in the public, private, or hybrid cloud globally, as of 2017. According to the survey, 27 percent of respondents reported that it would take up to five years before 95 percent of workloads are run in the cloud. Original question: "How long do you think it will be before more than 95 percent of all workloads run in the cloud (public, private, and hybrid)?"